Activyl is used to treat and prevent flea infestations in large cats and to treat flea-allergy dermatitis (an allergic reaction to flea bites). Activyl Spot-On Large Cat is a Prescription Only Veterinary Medicine and by law requires a prescription from your vet. Activyl Spot-On for Large Cats is an innovative treatment for controlling and preventing flea infestations in cats. Once applied, Activyl breaks the life cycle of the flea, ensuring your pet is not re-infested and your home is kept flea free. Applied as directed by your vet, the active ingredient in Activyl, Indoxacarb, ingeniously uses enzymes inside the flea to bring infestations under control. It, therefore, treats not only adult fleas but also all developing stages in the immediate environment.As a result, Activyl can also be used as part of a treatment strategy for flea allergy dermatitis (FAD). 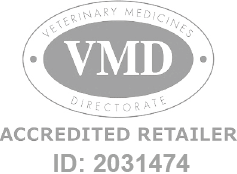 Activyl Spot-On is manufactured by MSD Animal Health and is developed specifically for cats. As such, it must never be used on other animals.